Adding hot stamping or foil stamping to a printed piece adds incomparable glamour and draws the eye in to the detail of the logo. You can take it a step further and give dimension to the metallic color look by either embossing(raising) the foiled area or debossing(recessing) the foiled area, to give it something extra. 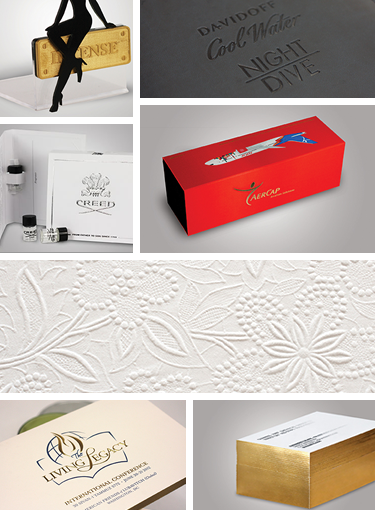 In contrast, embossing or debossing without foil has an elegance and a very subtle look.